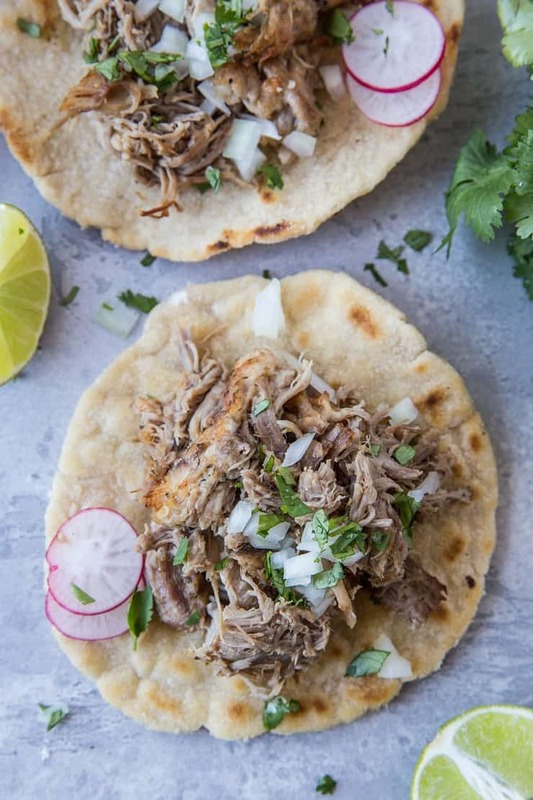 Tender, crispy shredded pork carnitas made easily in your Instant Pot. This simple recipe requires minimal prep time and effort! 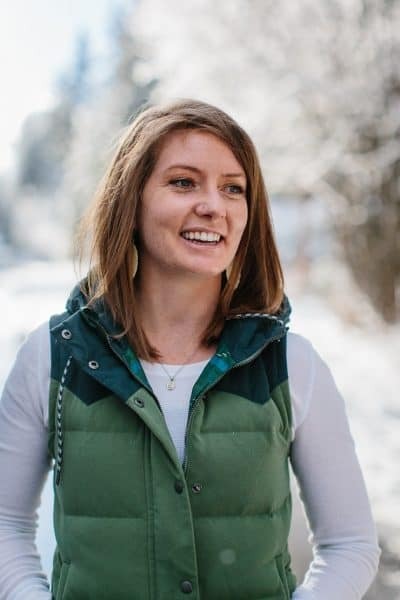 I’ve been making carnitas in my crock pot for years, but when I acquired my Instant Pot several months ago, I switched to preparing it in the pressure cooker. It’s truly incredible how speedy quick, easy and flavorful it is! What used to take me 10+ hours in the slow cooker now takes an hour tops in the pressure cooker. I figured because my Crock Pot Carnitas Burrito Bowls recipe is one of the most popular dinner recipes on my site, you all would probably be game for seeing some carnitage a la Instant Pot. I’ve never met a meat eater who doesn’t have a conniption fit over crispy, shredded carnitas… SO lettuce make them! 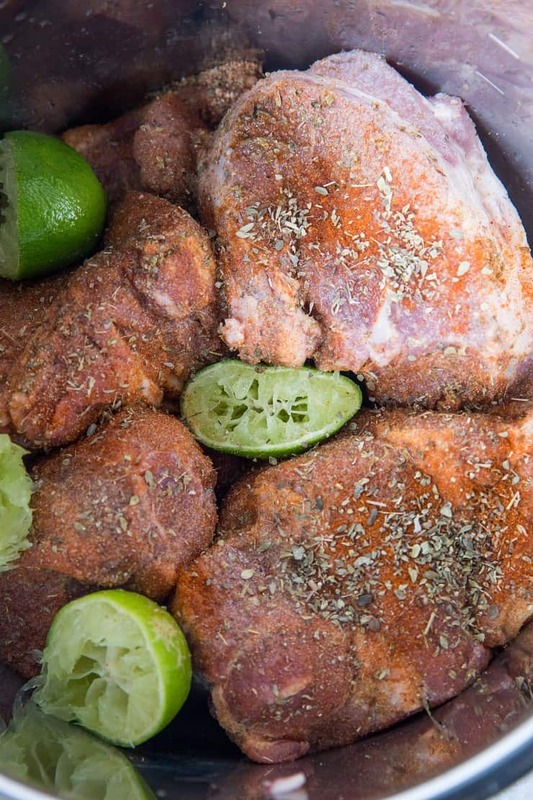 Acquire a large pork roast – I go with 4 pounds so that I can feast on carnitas FOR DAYS! 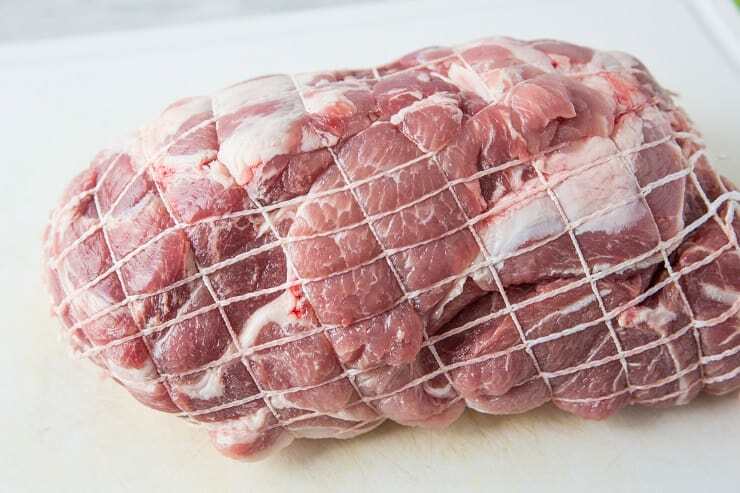 Remove the webbing (if any) and place on a cutting board. Chop the roast into 4 to 6 large chunks. Sprinkle the chunks of pork liberally with sea salt, followed by the paprika, oregano, onion powder, and garlic powder. Plug in your Instant Pot and turn it to the Saute function. Add the oil and onion. Saute, stirring occasionally, until onion is translucent. Push onion off to the side to make room to brown the meat. Place the chunks of meat on the hot surface of the Instant Pot and brown on two sides for 3 to 4 minutes each. Repeat for all the hunks of pork. Pour in the broth and lime juice. Secure the lid and turn Instant Pot on to the Pressure Cook setting. Keep the steam release valve on Sealing. Cook on high pressure for 45 minutes. Allow Instant Pot to go into the Keep Warm mode for at least 30 minutes. Use the quick release to release any remaining pressure. Open the lid and use tongs to transfer meat to a cutting board. Use two forks to shred the meat. Place the shredded pork back into the Instant Pot to allow it to soak up the juices for at least 15 minutes (note: you can store the shredded pork in the juice to make it even more flavorful until you’re ready to eat it). When ready to eat, place oven on the high broil setting and transfer shredded carnitas to a large baking sheet (note: I only put the amount of carnitas I’m serving on the baking sheet and simply store the rest in glass tuperware in the refrigerator for later use). Place baking sheet on the rack that’s second to the top and allow it to broil for 3 to 5 minutes, until it reaches the desired level of crisp. Serve carnitas taco-style, as a burrito bowl, and/or with side dishes of choice. My personal preference for consuming carnitas is taco-style. You can whip up the grain-free Cassava Flour Tortillas I showed you a few weeks ago if you don’t do corn or flour tortillas. 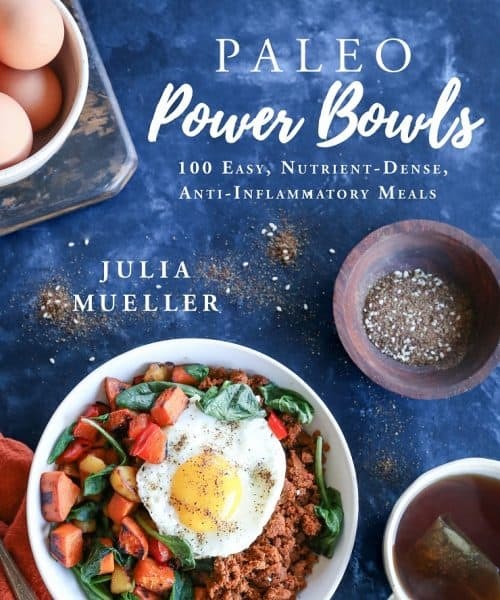 Turn this affair into a burrito bowl by serving with rice, cauliflower rice, and your choice of toppings, such as guacamole, cheese, beans, tomatoes, salsa, onion, cilantro, etc. 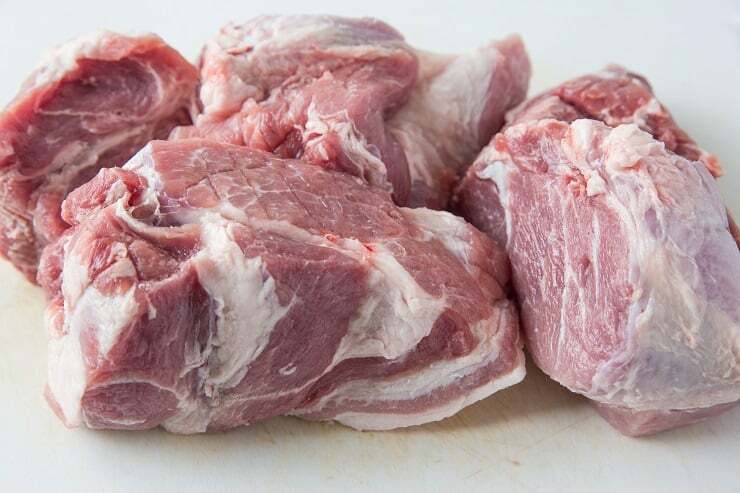 Chop pork roast into 4 to 6 large chunks. Sprinkle the chunks of pork liberally with sea salt, followed by the paprika, oregano, onion powder, and garlic powder. Plug in your Instant Pot (or pressure cooker) and turn it to the Saute function. Add the oil and onion. Saute, stirring occasionally, until onion is translucent. Push onion off to the side to make room to brown the meat. Place the chunks of meat on the hot surface of the Instant Pot and brown on two sides for 3 to 4 minutes each. Pour in the broth and lime juice (and lime rinds if desired). Secure the lid and turn Instant Pot on to the high Pressure Cook setting, setting the time for 40 minutes and leaving the steam release valve on Sealing. Allow Instant Pot to go into the Keep Warm mode for at least 30 minutes. Use the quick release to release any remaining pressure. When ready to eat, place oven on the high broil setting and transfer shredded carnitas to a large baking sheet Place baking sheet on the rack that’s second to the top and allow it to broil for 3 to 5 minutes, until it reaches the desired level of crisp. We have been eating a lot of beef lately, especially your short rib recipe. This will be a nice change up for us meat eaters, and I love my new Instapot.